We offer a range of private academic and music tuition for primary aged children in Haywards Heath. Click Here For More Info. We provide academic and music tuition for primary aged pupils in Haywards Heath and across Sussex. Our focus is on creative and inspiring lessons that will bring out the very best in our pupils. In order to be successful learning should be a fun and engaging process and our tutors are able to create the right environment for each pupil. Our tutors will come to your home because this is often the most comfortable place for a child and that comfort is very important to their learning. Maths lessons can be challenging as with other forms of Academic and Music tuition. For most children learning in a familiar environment can be a very positive part of learning. If you feel your home is not suitable then get in touch and we can help find another location. When teaching 5-7 year old children we work on consolidating many of the areas covered in the early years stages of education. This includes ensuring pupils have a solid grasp of key skills like basic reading, linguistics, counting and number recognition. The best results at this age comes from using games and interactive activities to aid learning, many of these are highly successful new ideas and other are more traditional. 7 to 11 year old pupils need a different approach and we focus very much on creating a stimulating and challenging learning environment that is also enjoyable. This can be achieved in a number of ways and our tutors have many years working with this and other age groups. Often a lesson in a different environment like a garden in the summer can make a big difference to a tough subject. We also focus on ensuring all Key Stage 1 skills are in place and working to improve challenging areas where needed to avoid any issues with falling behind. Our music lessons are engaging and fun and they are tailor-made to suit your child's needs. Discover & Be music teachers are all highly skilled musicians in their own right as well as being experienced tutors who are passionate about inspiring a love for music in pupils. Our experienced tutors offer a bespoke teaching programme for ever child based on an initial assessment. The tuition the takes place in your home where the child can feel at ease. 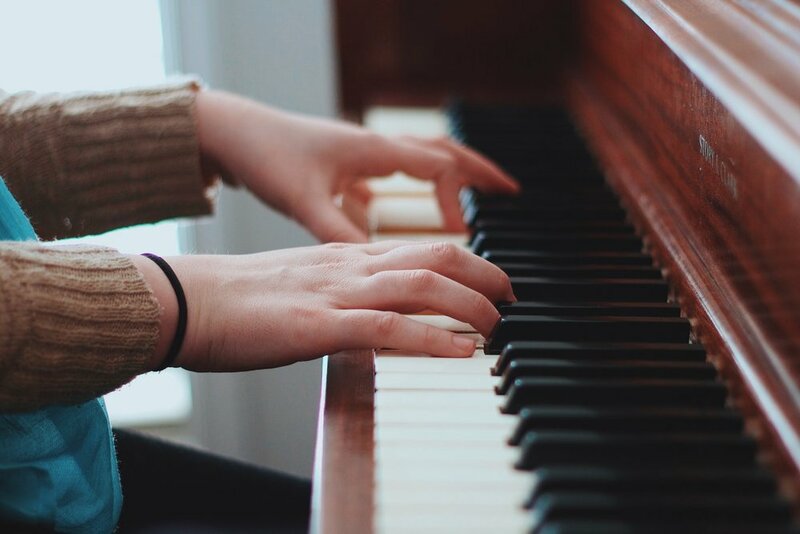 Using a huge range of rescources Discover & Be can bring a unique and highly effective tuition programme to your home for music as well as academic subjects. Please note: ALL Discover and Be tutors are DBS/CRB checked; this is renewed on an annual basis. One our of tutor coordinators will arrange a suitable time to come and meet you and your child to conduct an initial detailed assessment. They will get to know your child in the comfort of their own home and note down any concerns and /or thoughts and feelings you or your child may have in relation to his or her learning and school life. We will then allocate the most suitable tutor to work with your child. Rest assured, the assessment is conducted in a relaxed, fun and informal manner so that your child feels comfortable and enjoys the session.